If you are in the market for custom cabinets, then you have to head over to Custom Hardwoods. With over 30 years of experience, expert craftsman Steve Speltz and his team specialize in the design of unique, custom-built cabinets of every kind – kitchen cabinets, bathroom cabinets, bar cabinets, mudroom cabinets…the list just keeps going. Now, what if you don’t want cabinets, but rather a coffee table, dresser, table, or 5 ft carving of your family pet goldfish Mr. Bubbles? Not to worry, Custom Hardwoods will construct nearly anything from hardwood; although, you may want to check with them about the gold fish. It’s a little weird, but, hey, you do you. Apart from creating beautifully carved masterpiece cabinets, furniture, and art, Custom Hardwoods also restores worn wooden pieces back to their former glory. Custom Hardwoods former website was beginning to get outdated and was due for a full upgrade. Our team redesigned the navigation, updated the logo, added new copy, and, as always, made sure the consumer website was mobile and desktop accessible. Custom Hardwoods creates a wide variety of beautifully crafted pieces that need to be seen to truly appreciate. The attention to detail on every project whether it be cabinets or furniture is truly breathtaking, and with a photo gallery that we added to each product page, other visitors will fall in love with the beauty as well. 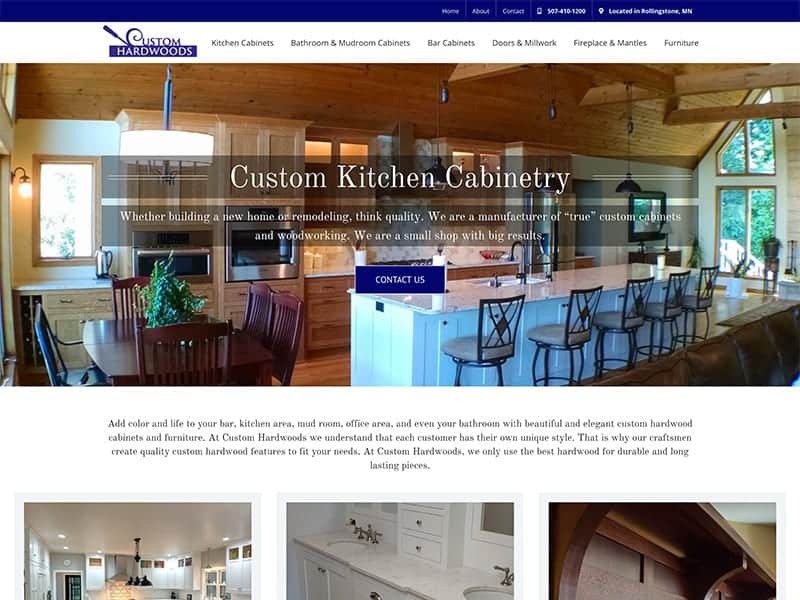 Because the business’ main focus is on their custom cabinets, SEO was added to each product page with special notice to the kitchen cabinets, bar cabinets, and bathroom cabinets pages, which will help generate more search traffic to the site. If you hadn’t planned on remodeling your kitchen or home before, you may change your mind after visiting the new Custom Hardwoods Website. 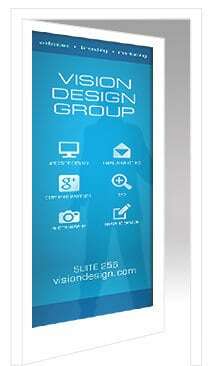 No matter your business, our Vision Design team can create a website that highlights your products and services.